About a week ago, Verizon updated its list of Android smartphones on tap to get the Android 4.0 update Now, a list from Motorola published on its Owner's Forum shows where certain of the manufacturer's Android models stand in the update process and includes a timeframe for the Ice Cream Sandwich updates. The charts released by Motorola are dated February 15th and show that in the U.S., only the Motorola XOOM Family Edition is expected to receive the Ice Cream Sandwich update in the second quarter of the year. U.S. models with the Android 4.0 update currently in development but expected to rollout in the third quarter include the Motorola PHOTON 4G, the Motorola ATRIX and Motorola ATRIX 4G, and the Motorola XYBOARD 8.2 and Motorola XYBOARD 10.1. 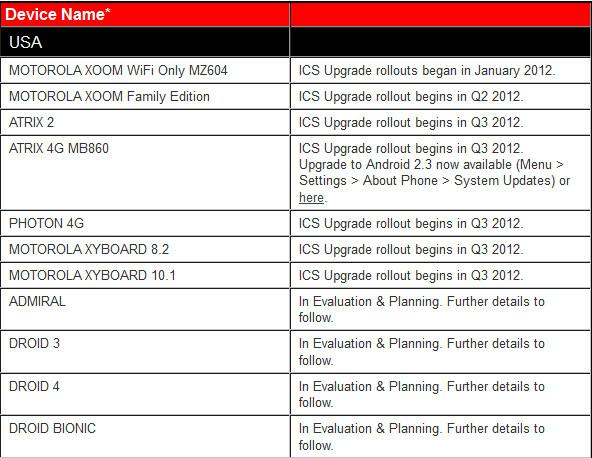 That seems to be the complete list of Motorola devices in the U.S. with a timeframe for the Android 4.0 update. But what about the Motorola DRIOD RAZR, Motorola DROID RAZR MAXX or the Motorola DROID 4 not to mention the Motorola DROID BIONIC? 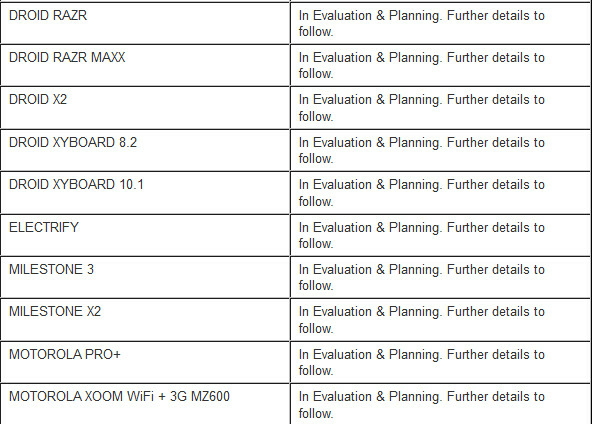 The chart disseminated by the manufacturer lists all of those devices currently undergoing "Evaluation and Planning" with "Details to Follow" for the actual timing of the Android 4.0 update. But owners of those models shouldn't worry. In fact, Motorola says that all of those models and the Motorola XOOM Wi-Fi 3G/4G will definitely get the update with details to come later. Besides, during the Evaluation and Planning Phase, Motorola does not give out estimated time frames (see below). There are some models that appear to be on the cusp. The Motorola DROID 3, while not named by Motorola as one of the devices definitely getting the update, is listed as currently undergoing "Evaluation and Planning" with "Details to Follow" just like it says on the most recent DROID 4 and DROID RAZR models. Motorola says there are 4 phases to the update. Phase 1 is Evaluation and Planning where Motorola goes over things like the benefits of an update to those using the model, and technical issues. Release dates are not given out at this stage which explains the lack of time frame estimates for more recent models. Models at this stage may not make it through the entire update process. Phase 2 is the Development Phase and at this stage, Motorola ventures a particular quarter when the update will be launched. At the Testing Phase, the software undergoes tests and the device given the month that the update will be released Finally, Phase 4 comes which means the update is Available. Device owners are given a notification that the update can be downloaded via an OTA installation. Motorola Android owners can check to see if they have received an update by folowing this process: Settings ⇒ About Phone/Tablet ⇒ System Updates to manually check for an OTA upgrade. A list of how overseas models stand in the Android 4.0 update process can be viewed at the sourcelink. and they say lg is bad with updates... my g2x is older 5 months older than the bionic, but im getting official ics in q2. Not so fast it seems like vzw phones like the razr that everyone knows is getting ics aren't confirmed either while at&t phones are. This seems to be a verizon thing but i would expext the bionic to get ics. Umm the Razr was one of the phones that Verizon actually confirmed getting the update just last week. so? my g2x is still getting official ics before the photon, atrix, atrix 4g, both xyboards, droid 3, the list goes on. 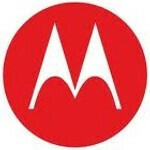 motorola claims Q3 for all of those devices. how does verizon have anything to do with the manufacturer's time table? my point is that lg is putting out official updates for older phones an entire quarter before motorola expects to roll out theirs. i didnt mention t-mobile pushing my g2x update so why would you expect i was talking about the verizon push on moto devices? im talking about the manufacturer release. i dont rely on carriers for sh!t. the reality is these are just projections. these time tables weren't made in conjunction with the carriers. Verizon is likely the reason why their phones are still in the "Evaluation and Planning" stage because Motorola is probably readying builds and sending them to Verizon for testing and they're not clearing them for whatever reason or the other. Motorola can't project something that's out of their control, the best they can do is fix whatever Verizon wants them to and keep sending updated builds. it's happened before and it will happen again with most OEMs. haven't you ever heard the expression "it's not over until the fat lady sings."? the only way you'd have grounds to say anything in this matter now is if LG had updated handsets more quickly on a consistent basis in the past which they haven't, Moto has so cool it. Ya I get it. Some people get me riled up is all. I fell like I have to defend everything I say on this site. LG is good with updates? Really? Is that why the LG Thrill is still on Froyo? F U Motorola. You use "Ice Cream Sandwich Upgradable!" as a selling point, but when it comes time for rollouts you are still "evaluating." You do realize that in the evaluation and planning stage the question isn't whether the update will roll out, but when? I have to agree with you. Verizon did the same thing to me. I thought since now Google complete owns Motorola that things are going to change and Sanjay stepping down as CEO would make things more streamline and make the updates release sooner. It looks like Verizon's "Flagship" phones are being put on the back burner for the time being for whatever reason. Very sad Verizon-Motorola. i think that Moto is readying builds for the Razr but Verizon isn't clearing them for whatever reason or the other. remember we've seen leaked builds that don't look too far from completion. i don't think Razr owners will be going into May without ICS on their phones. This is one thing I hate about owning an Android phone; you have to by an Android phone with the carrier and manufacturer that you can trust to rely on updates in an accepted timely manner. Which is why I have to spend so much time looking for a ROM that runs smoothly on my phone whether than waiting months to get an update that's been available for so long. It's troubling that Motorola is taking so long to get word out about devices getting ICS, and that the updates will be taking this long to come out, especially considering how quick they were about getting updates for Gingerbread out there. Nevertheless, at least they are trying to keep people in the loop here. After what moto did with the internation Xoom nothing suprises me anymore, never ever going to buy another moto product. Time to root my Xoom, and give it to my wife and then enjoy ics on my prime. You made a good choice there. There's plenty of better products out there. Got a link because I would love to try it! How is it working for you, everything functional?